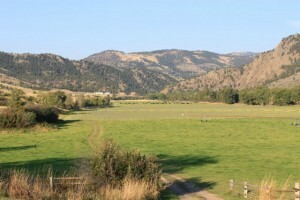 Sentinel Rock Ranch is a 144,000 acre working cattle ranch and sits on the banks of Pickney Ceek and the Missouri River explored by the famous expedition of Lewis and Clark. 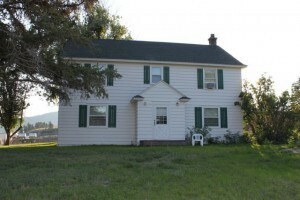 We have used this ranch for our base of operations on numerous trips to the Missouri River. 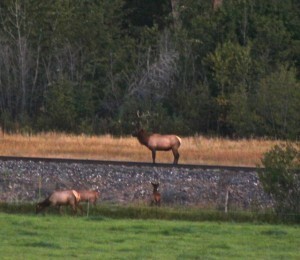 There is large elk herd on the ranch and it is rarely hunted so they are not too spooky. Almost every morning and evening there are as many as a hundred elk feeding in the pasture right in front of the ranch house. This year we saw six bulls including the this BIG bull elk in the adjacent photo. It was really something to watch him protect his cows from the younger bulls. 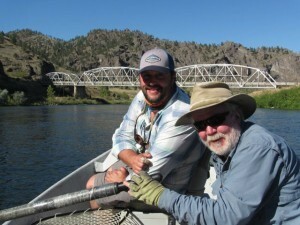 The Missouri is quite simply a fish factory and we have had many spectacular fly fishing days there over the years. This year the weather played a big factor and the sunny, clear skies and temperatures well over ninety degrees made for some really challenging fly fishing. 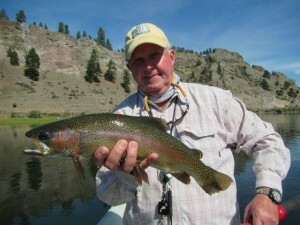 Regardless, Brian Scott and his group of guides put everyone on some real solid Rainbows like the one pictured here. Streamers in the mornings and hoppers with a zebra midge dropper were the best producers. 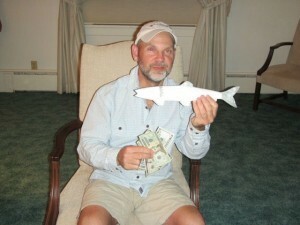 Each year there is an anglers pool for the largest native White Fish taken during the trip and this year our good friend, Bryan Dobbins, of the Woodsman Company in Fort Smith, Arkansas, took the prize Whittie and the cash. Special thanks to Tom Hawthorne, The Ozark Angler, for hosting this part of the trip and also to Mike Geary of Lewis and Clark Expeditions along with Brian Scott for the guide services. We will be back to the “Big Mo” again next year! Now we are off to some new water near Missoula, Montana.